Description:The Ivy House entrance to J & G Meakin's Eagle Pottery in Hanley. The pottery opened in 1859 and closed finally in 2004, after absorption into the Wedgwood and latterly producing Johnson Brothers wares. The works were demolished in 2005 and the site became part of the Waterside Development of housing. 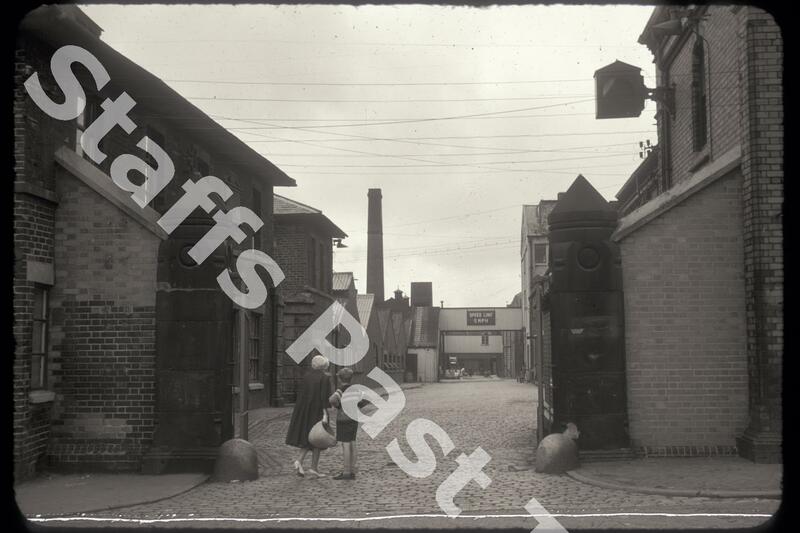 Built alongside the Caldon Canal, the works was producing over 1 million pieces of dinner and tea ware in the 1950s. Most of Meakin's output was for export to the USA and the Commonwealth. 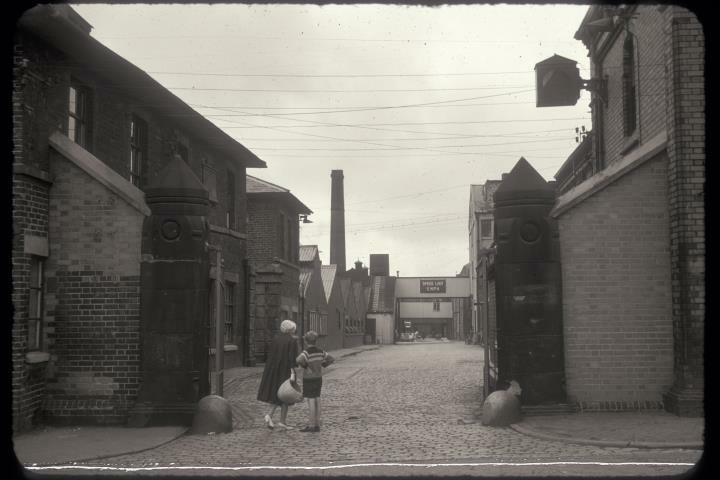 The works was using gas fired kilns by the 1960s, so no bottle ovens on the skyline. Notice the lady with the gloves and the gondola wicker shopping basket. Seems a little out of place.